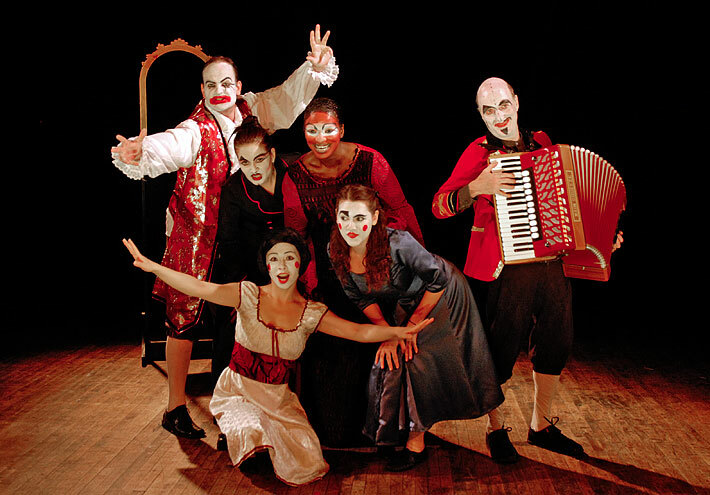 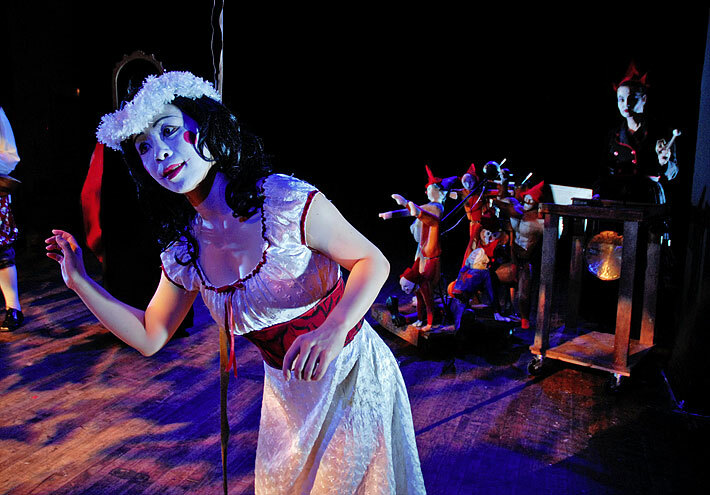 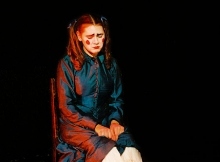 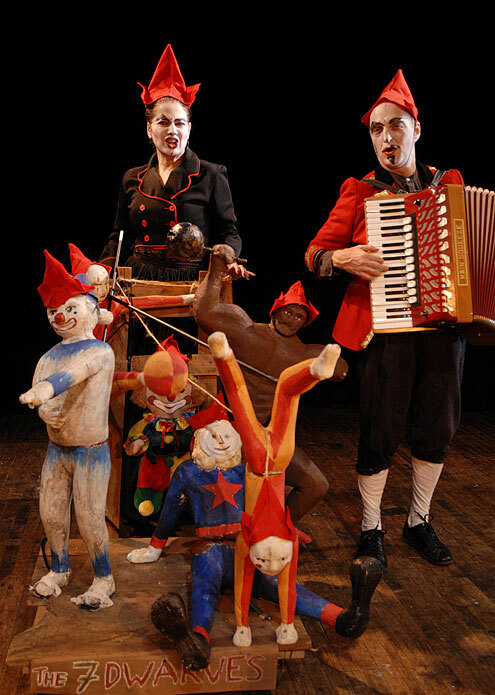 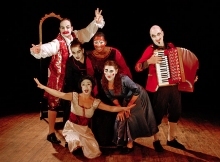 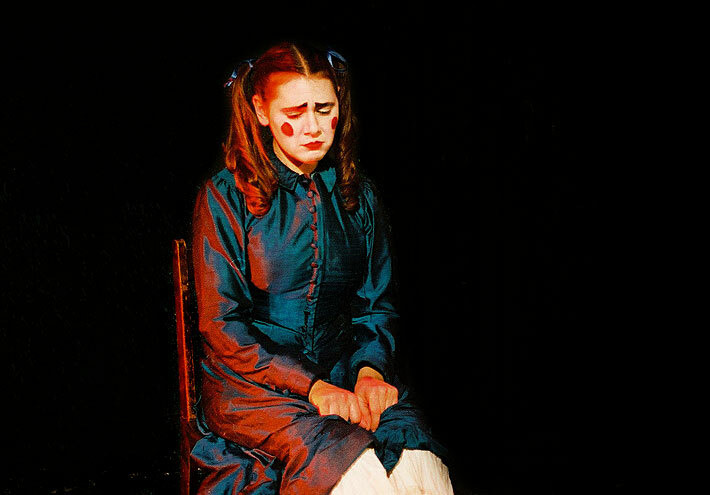 In Wanderlusters Present “Achtung Grimm!” jobless circus stars stage the Brothers Grimm tales. 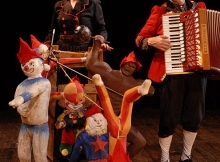 A mix of comedy, song, dance, puppets and a lot of attitude make for a brilliant rediscovery of the Germanic tales. 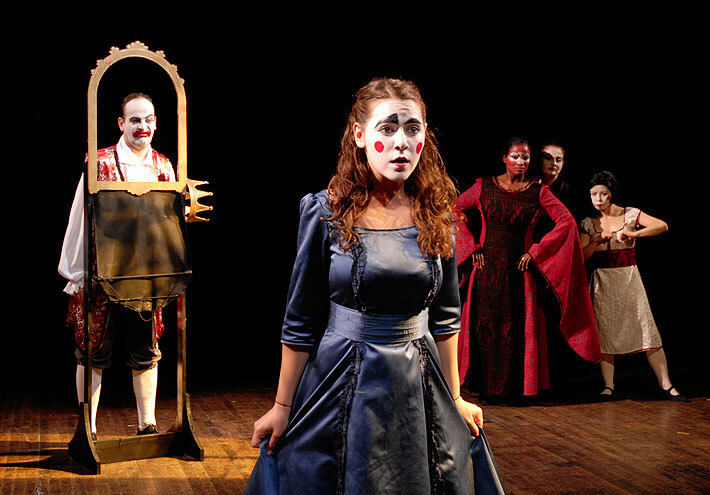 From Snow White’s Mirror Mirror singing how he determines “Who is the fairest of them all,” to The Juniper Tree’s Stepmother singing “What’s in it for me?” before decapitating her Stepson, The Wanderlusters give the Grimm tales a comic yet menacing twist. 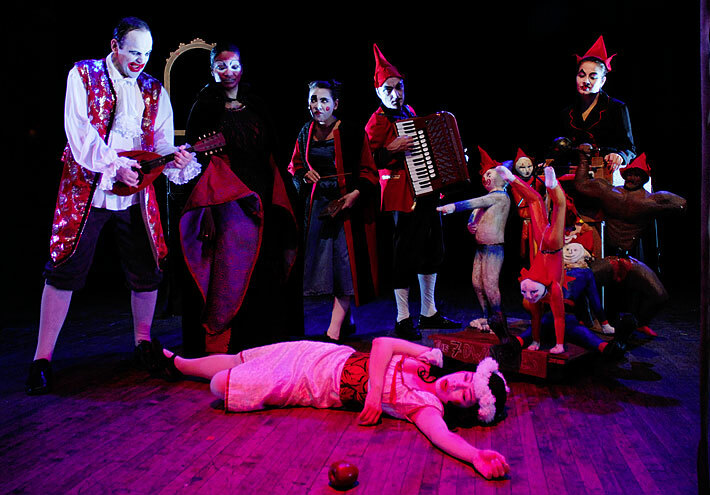 Wanderlusters Present “Achtung Grimm!” was made possible in part by public funds from the New York City Department of Cultural Affairs and by LMCC’s Fund for Creative Communities/NYSCA, Six Figures, and chashama. 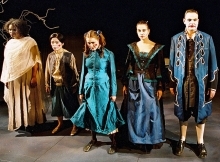 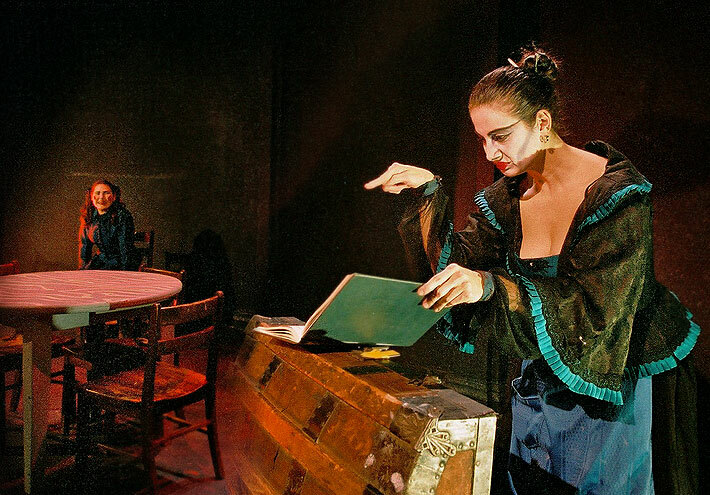 The development of WanderLusters present “Achtung Grimm!” was made possible through the support of New York State Council on the Arts, New York City Department of Cultural Affairs, and chashama. 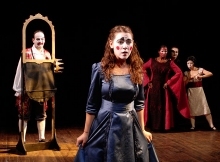 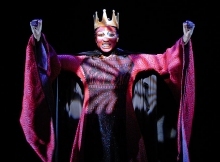 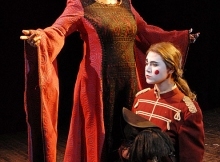 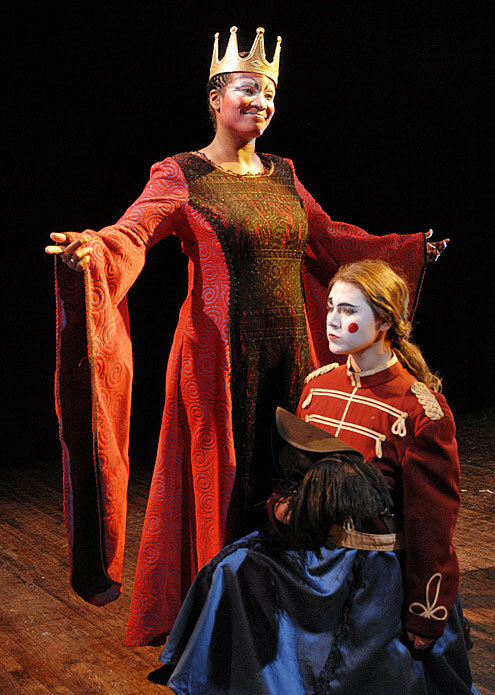 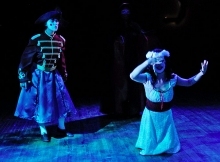 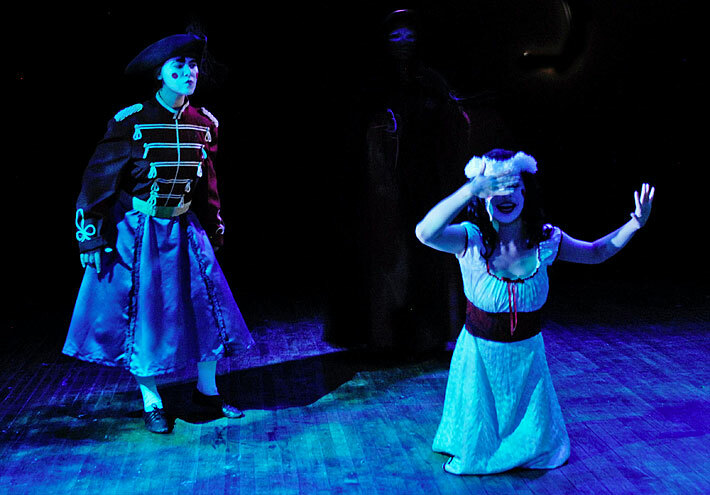 Theatre and fairy tales both work best when they make us jump out of our skin a little bit. 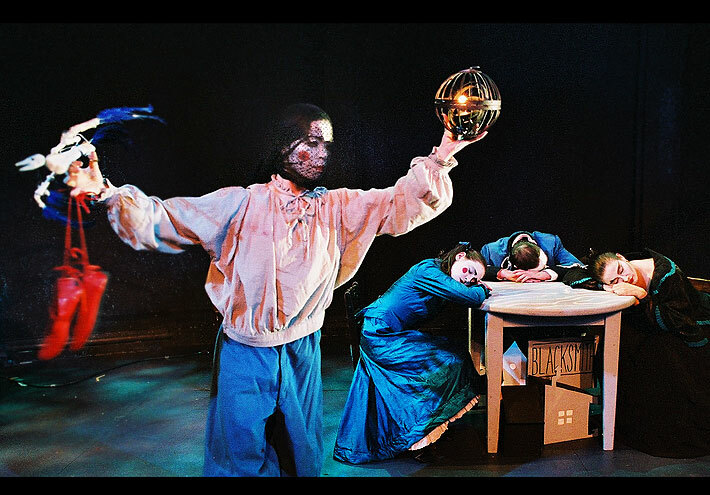 Writer/Director Renee Philippi helps evoke this feeling by letting the Wanderlusts be our devious guide into Grimmsville. 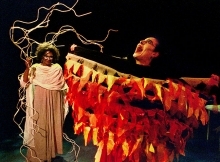 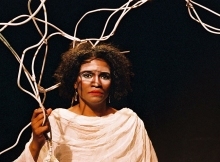 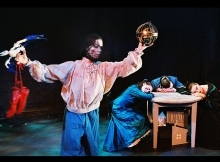 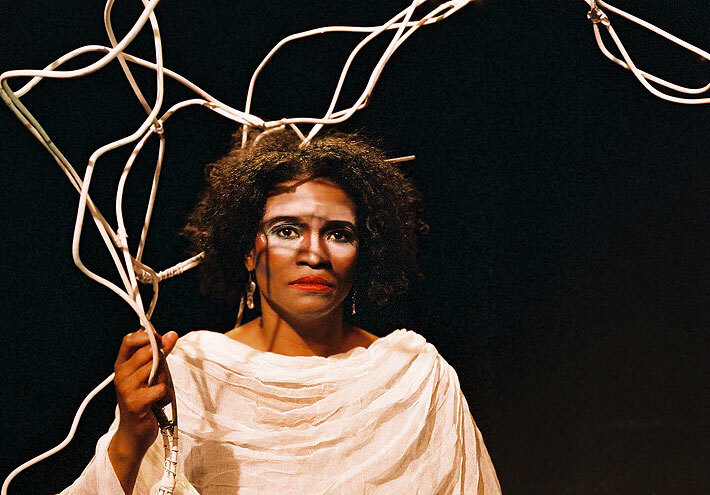 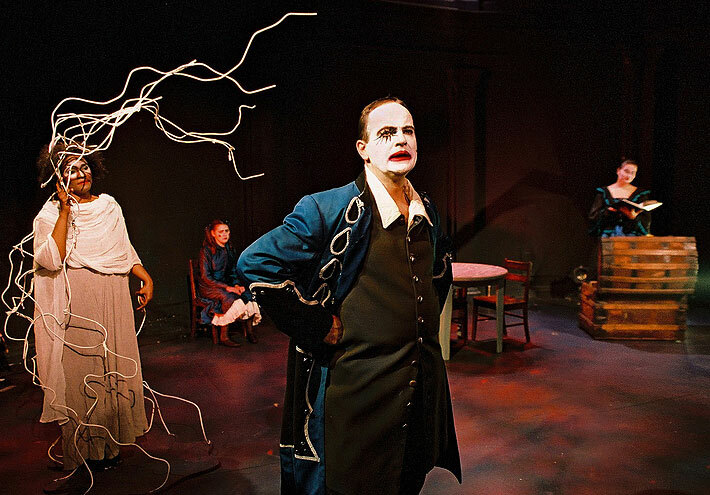 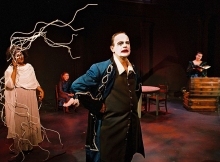 The Juniper Tree – the less well-known story of a young boy decapitated by his stepmother and reincarnated as a bird – is a fascinating piece of theatre that ends the evening on a somber note of melancholy and catharsis.